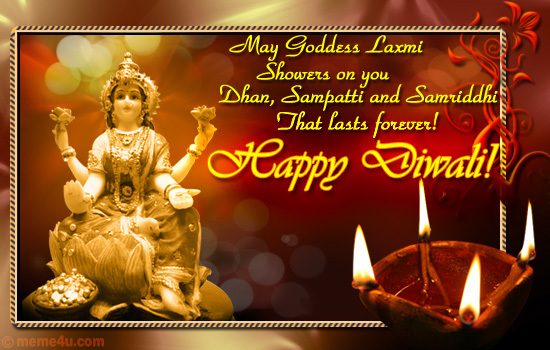 May God bless you and your family Happiness, Success and Prosperity on Diwali and Always. Today I'm releasing updated version of OptionsOracle India Plugin. OptionsOracle India Plugin is best and free Options Strategy Analysis tool in India supporting NIFTY, BANKNIFTY and NSE Stocks. OptionsOracle is free tool for stock options trading strategy analysis, built for options traders. OptionsOracle is a powerful tool that allows testing of different options strategies using real-time options and stock-market information. The tool provides an easy interface to build a stock/options position and then test it using graphs and analytical tools. Its payoff chart helps to analyse strategy status at different price, date and volatility. Special thank to my dear friend Pooja. Without her support and encouragement, this couldn't have been possible at all. You wouldn't have landed on this page. Initially, she encouraged me to try to fix issue with OptionsOracle and later on encouraged me to develop "Option Strategy Trading Workshop". We spent many weeks to develop course content. All course materials have been thoroughly validated and quality checked by her. Sometime, she makes it very difficult, in fact on many occasions, I felt like giving up. But every time I followed her, end results were much better than my expectation. She is my motivation for whatever I do. I only made it this far because of her. May God Bless her and keeps her happy, fulfill all her dreams and made her successful whatever she does. If this software helps you, don't forget to give your blessings to her. Also, thank you to all near and dear ones, including family members, colleagues, participants of "Options Strategy Trading Workshop" and users of "Options Strategy Premium Tools" and members of blog and FB group members for supporting us and encouraging us. This is slightly updated version by us using original codes from Sholomo Shachar and Oren Moshe. It is simply the best free options analysis tool, that gives you all you need – options strategies analysis, options screener, volatility analyzer, greeks calculator, and portfolio manager. 3. Run setup.exe, proceed as shown on screen. Slower version is good for older systems such as Windows XP and others. If for some reason faster version is not working on your system, you can try slower version. Slower version tries to preserve Original (classical) UI and codes as much as possible. Hence it will not have new features (like faster speed to download, additional columns in "Strategy Positions", updated PCR, etc.). If you wish to use OptionsOracle based on Original version, then try Slower version. 2. Select option as shown below in screenshot. Don't forget to like our facebook page and join group for latest announcements, and see my strategy trades. OptionsOracle wizard is sophisticated options strategy screener that allow to check customized or pre-configures strategy over multiple stocks, with all the options combination. OptionsOracle Wizard feature is part of OptionsOracle. OptionsOracle options Greeks calculator can be used to check options-pricing in more detail. The calculator also provides the ability to quickly load the market options, and check them under different scenarios. OptionsOracle also includes a multi-portfolio manager that allows you to monitor your positions in separate portfolio or in one main portfolio. The portfolio also provides the ability to quickly navigate between the saved strategies, allows simple and effective user-interface. 1. Please use this tool at your own risk. 2. I'll not be responsible for any risk or damage to your system or data or wealth or health or whatsoever. 3. You are downloading data at your own risk, and any liabilities remains with you whatsoever including downloading options chain data. Correctly parses NSE pages (As of Nov 11, 2015). Index script NIFTY, BANKNIFTY and NIFTYIT are supported. Stock scripts are supported as earlier. Now it shows 10 Expiry Buttons at top right. Expiry buttons is shown in date and month format (e.g. 29 Jun) instead of earlier month and year (e.g. Jun 16). Both these changes will help specially considering BankNIFTY weekly contracts. PCR (Put Call Ratio) updated to consider data only for current series instead of earlier combining all series. Additional columns added in "Strategy Positions"
PCR shows PCR value in chart title. It supports NIFYCPSE (NIFTY CPSE index) symbol. Button "Enable Sort"/"Disable Sort" added to allow/disallow sorting of positions in "Strategy Positions" by columns. Five additional columns added in "Strategy Positions". Enable Sort/Disable Sort button added. So it allows/disallows sorting in "Strategy Positions". PCR chart updated to show PCR value in Title. It supports now Future. So you can add Long/Short Future. Option chain table has column "OI Analysis" that shows Long Buildup, Short Buildup, Long Liquidation, Short Covering. In case if your system is downloading .json file, please use slower version or remove .json extension settings from registry. 1. Make sure your system has latest updates and patches. 2. Net Framework 4 or higher required. 3. In case if OptionsOracle downloads .json file. It requires minor changes in Windows registry. Just clean .json extension association. @ Neel VR, both should work. I have downloaded both and it works. Please download again and see result. I am trying to get the CBOE plugin working but unfortunately the weekly and monthly expiration dates and prices are mixed up. The problem is that the system gets the data fron yahoo with web data capture. The yahoo.cs file is not updated. Santosh, could you take a look at the CBOE plugin, you will make a lot of people happy if you could solve this problem. Thank u very much , will very helpful for many who likes to learn derivative analysis. I have tested on different platform again and it is working perfectly. What I trying to say is, if we are using the cboe plug-in (OOServerUS.dll), the expiration dates are mixed up in the mainscreen after clicking "update" the option chains. Yahoo has changed the html layout of the website and data quotes extraction gets mixup. Try for yourself by using the symbol "spy". Take a look at the december ATM series. The expiration dates does not match with the symbol codes. Weekly and monthly are mixed up. Is it possible to update the file? When I tried for SPY, strike rates on yahoo were 201, 202, 203 ... but in OptionsOracle it were showing 201, 201.50, 202, 202.50 and rates were different. Is this is concern in US plugin? Thank you Santosh - downloaded the faster version and it seems to work. This will show pre-configured strategy templates. Have downloaded the faster version and it works. Many thanks. Thank you Rajivji for confirming. Santosh, would like to know one thing. I see Green and Red Color values with sometimes negative values for both of them under Debit Column under Strategy Positions. Can you tell me what does that mean ? I was under the assumption that Red means money going out of your account and Green meaning money coming into your account. But why are values negative sometimes ? In Debit field, if value is negative value (Green), you got credit, so you are shorting. If it showing positive value (Red), it is debit and you are long. If value is positive green then what does it mean ? If value is negative red then what does it mean ? From you explanation above Negative Green is Credit , Positive Red is Debit. When value is positive, you get credit. And if it expires out of money, you get all credit. (It is reward). When value is negative, it is debit to your account. If it expires out of money, you loose all investment. If it goes deep in the money, you will end up with reward. i request you to help Rohit Jhunjhunwala by providing him the new mappings as (NSE has recently changed the index symbols) so that he can change and release a new version of NSE EOD Data Downloader. Yes santosh that's the problem. Weekly and monthly expiration dates are not recognized by the CBOE plug-in. Allmost all options are loaded but with the wrong expiration dates. As example load the "SPY" and take a look at the CALL 205 NOV 21 EXPIRATION. If you look at the expiration symbol ".SPYK2715320500" you will see the expiration date 21-Nov-2015 but that is wrong! It has to be 27-Nov-2015. Let me explain: ".SPYK2715320500" is defined as follow: SPY=SYMBOL ->27=Day ->15=YEAR ->3=third week ->205=Strike. I have tried to change the yahoo.cs in OOserverUS with visual studio 15 but whatever I am changing in the XML-node-rows nothing happens! It seems that the quotes are loaded differently, I am not sure but maybe that you know to fix it. see how it is load from: http://sourceforge.net/p/optionsoracle/code/ci/master/tree/OOServerUS/Yahoo.cs. the "XmlNode nd, table_nd" is not loading well because YAHOO changed the layout of the page with on top the pulldown menu for option months. Thank you for information. Is it possible for you to upload screenshots both from OptionsOracle and Yahoo page pointing differences. This will help to to understand. As per my understand, problem includes even strike rates too. After taking a good look, the cboe plugin is messing with the expiration symbol code. Example: in optionsoracle: SPY expiration date november 21 CALL 205 has the following Option Symbol code: SPYK2715320500 but this code is from the november 27 CALL 205. If I look at the symbolcode in yahoo: SPY151127C0020500. If I look at CBOE the code is: SPY1527K205. As you can see optionsoracle is using some parts of the CBOE code "letter K" but it is not completely matching. For some reason the programmer extract both codes (yahoo and CBOE) and joined those two codes together. I can upload you some screenshots but I believe that the cboe plugin should only be read on codes from yahoo and not from cboe. The programmer retrieved from both sites because after market session is closed the bid-ask prices are not available on the yahoo website (returns 0 null). As I don't trade in US market, I need more information. Let's take example for Dec, there are 5 expires (12/4. 12/11, 12/19, 12/24, 12/31) which one needs to be considered? OptionsOracle is using third Saturdays as expiry, but taking last expiry data to show result. Is this understanding correct? The data obtained by creating some problems. Today, it has altogether stopped giving data for nifty, though index value is given. I have verified it is working. Please check and confirm. No, it is not working. Index value comes but the columns giving values of calls/puts does not come. In case, I load an existing file, the figures do not change and the net profit loss figures also do not change. I can send the screen shot. I tried and it is working, considering your both scenarios. Even i am not getting updated rates of Options. Futures rate are updated. Remove first dot (.) from email address and send me again. It got resolved. There was file download blocking software which was interfering. I express my gratitude to Santosh Pasi for the pains taken by him to attend to my problem by taking my pc on remote and spending at least half and hour to troubleshoot. Long live, Santosh. @ Manish, currency pair options symbols are not supported. For Indices like NIFTY and BANKNIFTY, trade data like LAst, Volume etc is not getting updated, it all shows 0. Please have a look, thanking you for your effort. Thank you for your reply, but I tried at different times,Slower version and faster version, still no trade data for indices only, but its strange that for stocks it is downloading data, please have a look. Delete OptionsOracle related files and download again and try. It is working perfectly. I tried my level best, deleted all files, still could not make it.Am I missing something.Using WIN7 Ultimate, Java Version 8 Update 66.Please help me out sir ji.Tahnking you for your time. May be you need to share screen, I can look into it. It seems something odd with your system or files corrupt. Dear Santosh ji, I am uploading some screen shots for NIFTY,BANKNIFTY and SBIN.Please have a look. SBIN shows some data, but NIFTY and BANKNIFTY shows no trade data except Open Interest. It's weird. I just checked data in OptionsOracle at my end and for mentioned list it does shows data. Even I noticed in your screenshot "Last Update" field showing different time. It seems it is mixed up version (some old files and new dll files). You have to share your screen and I can try to sort it out. yes,at your end data is there.I am sending an email to your yahoo id, it would be from my yahoo id.Please check the mail.which time you will be free and other details of remote access can be discussed.I have teamviewer 9. Phew, finally got it worked in my laptop with WIN8, now all data showing properly, thanks a lot Santosh sir for his kind support.Somehow its not working in WIN 7 on my desktop. I am trying to install the application on Windows 7 and I am unable to install the application, Moreover I tried to Install it in my friends Laptop with Windows 8 it works perfectly fine. I'm sure it works perfectly on Windows 7. Is it possible to share screen to diagnose this. Unfortunately I am unable to attach screenshot on the blog nor i can find any to attach files. Sorry i am newbie to responding to blogs or commenting on them. Kindly let me know how it can be done or I can share my Laptop on Teamviewer. You can see my email address in plugin detail (Config -> General -> Online Servers & Stock Exchange Selection -> NSE ...). You can share me Teamviewer details. I'm available now. Thanks a lot for your prompt response and support via Teamviewer which helped me to Install the OptionsOracle on Windows 7 . It took eternity to install the windows updates but once its done the software worked like a charm :). Dear santosh i tried for Templates but predefined stratergies not working.iam facing blank stratergy window.even i tried your above solution bit it is not working out. Else contact me on email address. Commendable job Santosh. Thank you very much. Regards. I will post blog on this shortly. Other users of Options Oracle will also benefit from it. Selecting strike depends on your strategy. I have downloaded the fast and slow version OptionsOracle-Pasi-20151111, both returned "Request symbol ("ADBE") was not found as symbol company-name. Do I have to expect the market open ? Are you looking for Indian market or US market? This plugin is for Indian market (NSE). In fact, I am looking for US market. I thought it was for both US and Indian market. I keep on searching a fix. Hello DHP, It is working, I have tested some time back. Can you restart your system and see if it helps. Was it working earlier on your system? Thank you so much. Earlier i subscribed to TradorOptions. Looking for this since last 3 months. Thanks once again. That's great Mohan. I hope it is helping you to analysis strategies much easier. Please look into the URL below for screenshot. It was working amazing until Monday but stopped working from Tuesday afternoon. Any help would be really appreciated. Thanks for your help. The error is same from both slow and fast versions. I really appreciate your help. Error: Requested symbol ("NIFTY") was not found as symbol or company-name. Please follow step 4 through 6 above in the post. It can resolve issue. Please share screenshot of Config-> Online Servers. I got confirmation from Thalapathi. It got resolved, but just updating Windows system. You can use either Fast or Slow version, it should work. In case if this doesn't help, contact me later in the evening and share your screen. Meanwhile, make sure your Windows system is updated. hi thanks for your support does it feed in amibroker??? Hi 123 machi, It doesn't feed in amibroker. Hi Farhan, it should show in config option even in faster version. Make sure you have extracted file before running program. If you are still facing issue, share me screen and will try. Before that try downloading again and running. Slower version has the server details in Config section. However it is missing in Faster version. I clicked on "OptionsOracle.exe" for Faster version from the Zip file itself without downloading. Later I downloaded the complete folder and went to Config section again. However the server details are still missing. What could be the problem? Hi Vinod, this is second message I got that it is not showing. I'll try to investigate. Meanwhile you can use slower version. If possible please share screen after 6:30 PM, so that I can see exactly what is wrong. Thank you for confirming. Also I have manually downloaded faster version and followed steps 2 through 6 and it is working perfectly. I read the complete description and downloaded the OptionsOracle Tool on my Windows7 laptop. However, when I double click the EXE it just doesn't run. I have .NET 4 installed. Any help is appreciated. "Cannot download the application. The application is missing required files. Contacts the application vendor for assistance" is the error I received. Most likely Windows is not updated. Kindly update Windows 7 with latest patches and try again. In case if you are still facing issue, share me screen after 6:30 PM. Thanks Santosh for your prompt response, appreciate it. Apparently, the restart of System made it work! Fast Installation Resolved. Thanks for your Team Viewer support. Santosh Sir. In faster version, server details are blank in Config section. However there is a value in Slower version that I could select. For Faster Version, I clicked "OptionsOracle.exe" from the Zip folder itself. When it did not work, I unzipped all the files in a folder and then again opened OptionsOracle.exe. However the server details were blank even after this. Hi Amit, you need to download, extract it, and click OptionsOracle.exe. If you are still facing some issue, share your screen and I can look into it. Both version should work. Hello Santosh ,I have been using the software on a daily basis. But today it stopped working suddenly. When i type NIFTY and press Update, I get a message that the Requested symbol is not found. Kindly solve the issue. Please contact me on FaceBook chat after 6:30 PM. I will check. What is exact error on screen? Kindly download faster version from Facebook group. There is some issue currently. Even in FB, it is workaround solution. Share me your screen using Ultraviewer and can look into it. You need to actually delete .json extension from registry. Search .json in registry and delete it. Make sure to take backup of registry before making changes in registry. options data is not getting updated. Only Live data is getting updated in the software. Same here too... can anyone guide please? Individual traders are their very own bosses and no one else can decide for them. Binary Trading Options The main benefit that investment possibilities have is the truth that nobody dictates on the choice you should make. Yes, you can get. Use SBIN, ITC as code. Running setup.exe causes threat detection by Symantec Endpoint client. Reputation1.ws is the threat. It deletes the plugin file. Cannot install. Put OptionsOracle in exceptional list of Symantec and go ahead. If you are suspicious, don't install. We are running same installer for years. hi Santosh , I am new to option trading and know little of basics . I came across this in your interview with money control. I wish this will help me. Thanks ! I am not able to download I am getting some error, can you please help to download. I have MacBook and is there any software available for Apple Laptops ? Santosh Sir, how to modify the margin block field. I have build up nifty strangle, but the margin is usually more than what zerodha span shows or what nse requirement is. Also I think it considers overall strategy as short put covered with short call but those are different legs. Any option to modify it? I am unable to download latest version of OptionsOracle Installer. It gives me error message as 'This set us requires .NFT Framework Version 4.0. Please install .NFT Framework Version 4.0. But I am unable to download it on my system. While installing it gives error message as unable to install. Please resolve the issue if possible at your end.